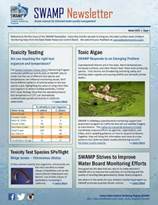 The SWAMP Newsletter is a quarterly publication highlighting the recent activity of SWAMP and its partners. 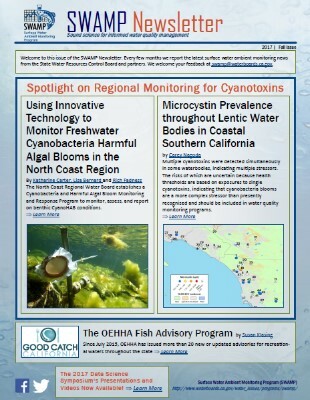 Each issue will feature a selection of articles covering the program’s water quality monitoring efforts at both the statewide and regional levels. 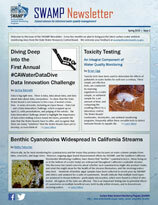 New issues will be announced via email. 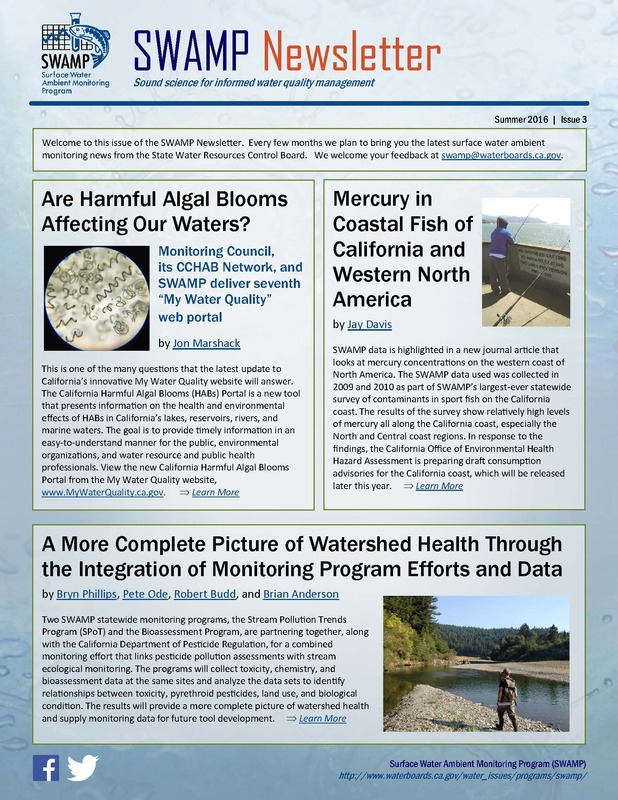 Subscribe to our SWAMP Water Quality Monitoring email list (under the Water Quality tab) to receive the announcements. 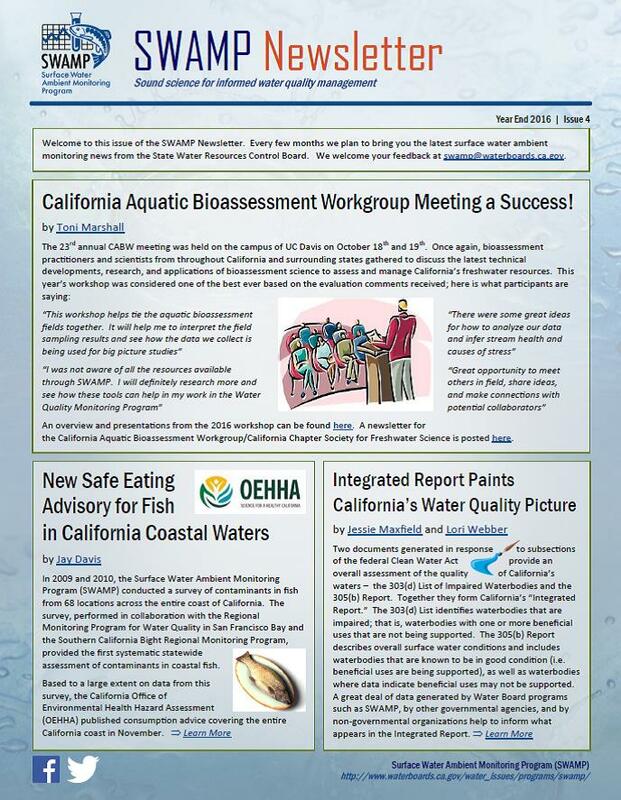 California Aquatic Bioassessment Workgroup Meeting a Success! SWAMP CyanoHABs Program is Blooming!